Horst Witte Gerätebau Barskamp, a German based company, specializes in machining high precision products in high-tensile aluminium. This includes design and manufacturing of several innovative, patented fixturing systems for machining and measuring as well as subcontracting machining of top quality parts for aerospace and medical industries. 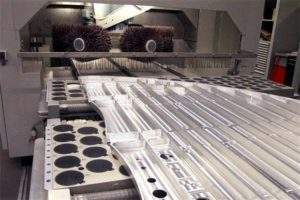 This company with over thirty years experience in machining aluminium alloys has an ultra modern machine shop and a dedicated workforce with an incredible depth of know-how. Their subsidiaries in Asia, Mexico and USA as well as additional agents and partners all around the world guarantee qualified advice, supply and service of Witte products. 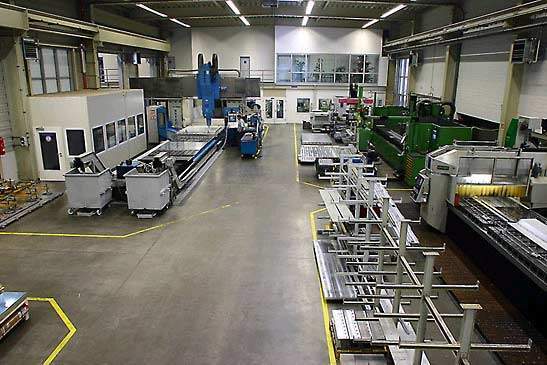 The Witte company, which is certified according to DIN EN ISO 9001 and DIN EN ISO 9100, has established a quality management system for machining technology for the aerospace industry (such as vacuum and special clamping technology). This quality-management system has been certified to EN 9100:2003, ISO 9001:2000, AS 9100, JISQ 9100 and DIN EN ISO 9001:2000 standards by the TÜV CERT certification body. The company stands for quality, experience, flexibility and reliability. Vacuum clamping technology offers individual solutions for safe machining of critical parts, especially if conventional clamping technology does not give acceptable results. Vacuum clamping can be used for nearly every kind of material and machining processes. Witte offers a large selection of standard equipment and accessories covering numerous applications. For complicated applications Witte designs and manufactures special vacuum solutions, for example for clamping large Airbus components. 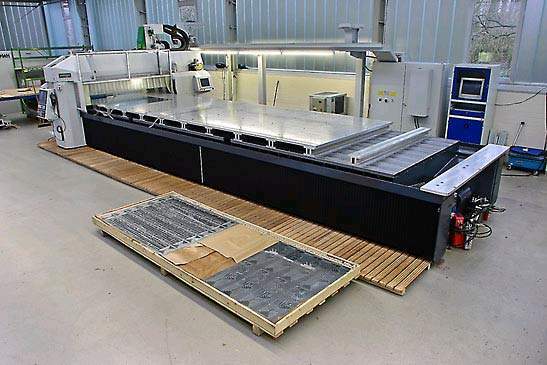 Custom built vacuum fixtures for aerospace applications have included a 4,500mm long vacuum fixture for friction stir welding of Airbus fuselage. Extendable arms enable mounting of different sized parts, steel inserts cater for heat incurred during friction stir welding process. On this custom built vacuum fixture the complete vacuum clamping area measures 4,100mm x 13,000mm. In order to enable manufacture of lightest possible fuselage parts without any loss of quality Witte Bleckede and Airbus Nordenham have developed a special fixture for clamping pre-rolled aluminium sheets during machining. 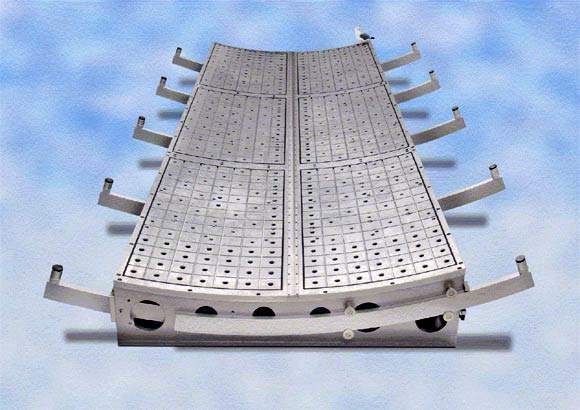 The total surface of the clamping table is divided in 36 individually operated areas. This means parts of different sizes can be clamped effectively giving a high degree of flexibility. 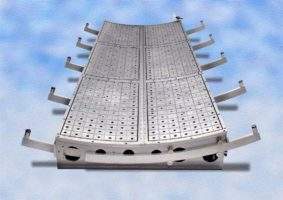 Additional 50 hydraulic and 11 mechanical clamping units ensure part positioning along the sides. This process is an environmental friendly and fast alternative to chemical milling. 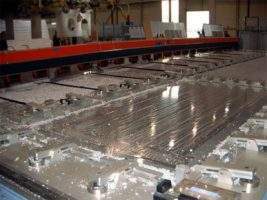 Fuselage parts for the Airbus-Giant A-380 are mostly made of aluminium and for safety reasons milled out of the solid. Before surface protection, sharp edges have to be removed to ensure sufficient results. This requires not only an appropriate deburring machine but also a suitable workpiece fixture system. Witte’s solution for this application was a special modular vacuum fixture which comprises of a series of Flip-Pod vacuum chucks mounted on guiderails, enabling secure fixation of different sized parts for deburring. Configuration of chucks and Flip Pods (activated or deactivated according to workpiece contour) is guided via NC controller. Horst Witte Gerätebau Barskamp e.K. The Airbus A318 single-aisle medium range-airliner is a short bodied version of the A319. The A318 received European Joint Aviation Authorities (JAA) certification in May 2003. Witte Far East Pte. Ltd.